10 Reasons you HAVE to ski in Banff this winter! 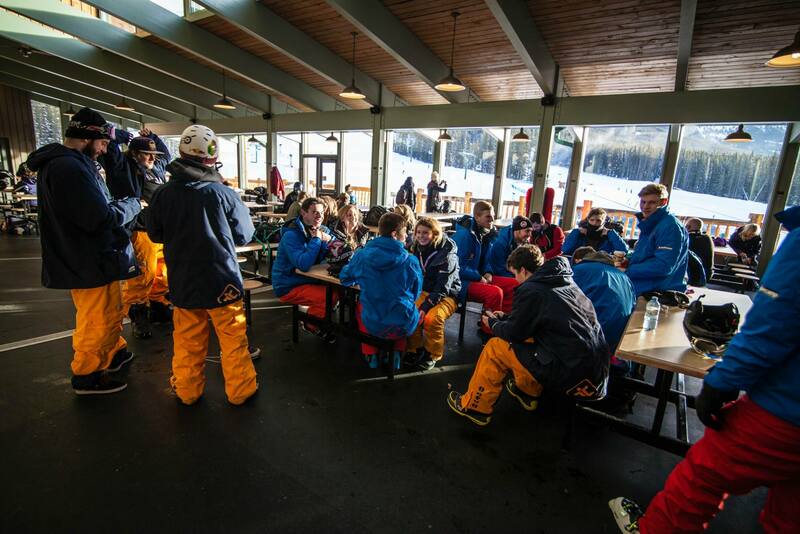 Choosing the right resort for your ski or snowboard instructor course can be an extremely difficult decision, there are so many things to take into account it can be quite tricky to sort out the most important. In this blog we present our Top Ten reasons why you should make Banff and Lake Louise your home this winter. 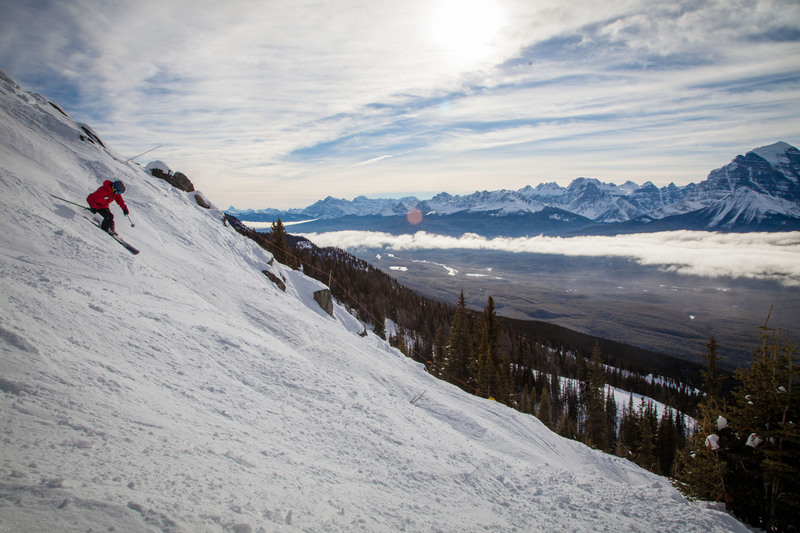 ‘The Ultimate Steeps’ is the name given to Lake Louise’s back, north facing slopes, and it’s a name well earned. Almost entirely made up of Double Black Diamond runs this face presents a stiff challenge, but also provides some of the most easily accessed and exhilarating off-piste riding in the world. Snow quality in the Canadian Rockies cannot be beaten and you’re guaranteed consistent dumps of fresh, light powder and excessive wind loading all season long. Down Hiker’s Paradise and Brown Shirt from the Summit lift, to ER 3 and Crow Bowl off the Paradise chair, there are enough lines to keep you heading over the back day after day, and even season after season! Its no surprise that this terrain has a long history of hosting one of Canada’s biggest freeride competitions. Once you’ve had a good go tearing up the wide open slopes of the powder bowls, or the light just isn’t quite right and you want some better visibility then why not head into the woods and explore all the hidden routes off the beaten track. Remember to pay attention to your instructors as only the most experienced riders know all the secret runs through the trees. Even days after a big dump you’ll be able to spend hours skiing untouched powder well after everything else has been tracked out. The managed glades under the Ptarmigan Chair provide the perfect place to get your eye in, with plenty of space between the trunks and once you’ve got the hang of it, the tight lines down Toothbrush and under the Larch Chair will get you thinking at light speed and really perfecting those quick, sharp turns. 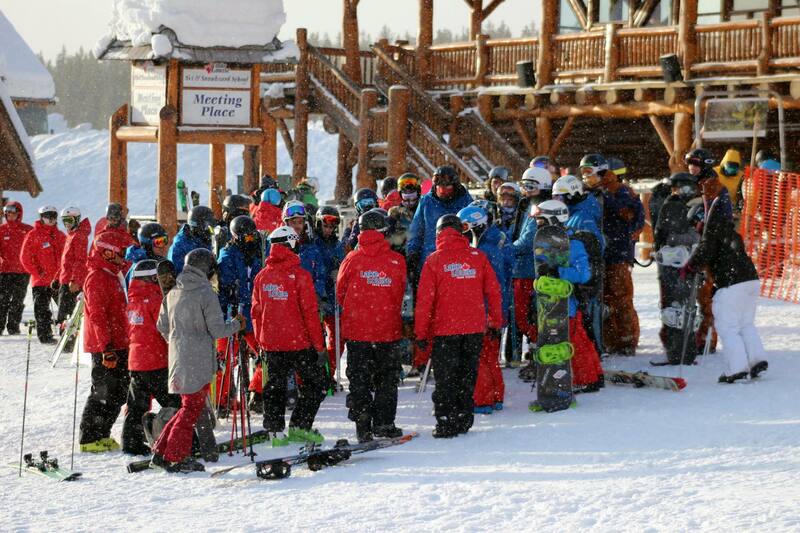 Lake Louise may have over 4000 acres of skiable terrain, but amazingly all of it is serviced by just 7 major lifts. Most of the lifts take you to the peaks and on the main mountain, Mt Whitehorn, you can ski almost 300 Degrees from the top. This means you’re never more than just a few minutes ride to a completely different part of the mountain and you can spend more time riding and less time sitting around! On top of that you won’t even have to worry about queuing all day just to get up the hill, despite being a world renowned resort and home to one of the stops on the world cup race circuit, it is actually a relatively quiet mountain compared to many resorts in Europe and North America. With never more than a few thousand people on the hill even at peak times, you can be sure that you can cruise to the bottom of the lift and hop straight back on for another go! Looking after these fantastically efficient lifts are the guys and girls that will make your day with their attitude and ready smiles, the Lifties! 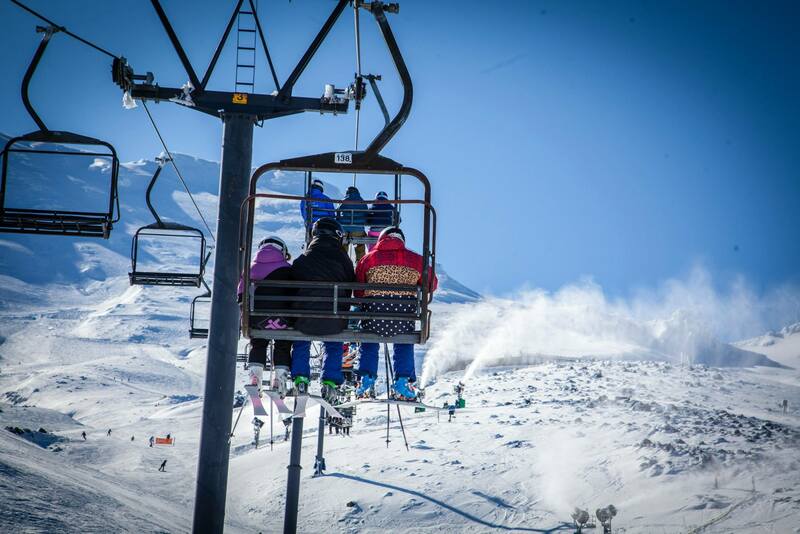 They look after the running of each lift, help people on and off the chairs and are always up for a quick chat or point you in the direction of a great new slope. Unlike in many resorts there are no electronic barriers at every lift for you to rub against to get your pass to register, the only times you’ll get your pass checked are at the Glacier Express and Grizzly Gondola at the base station, and there you’ll find more of the cheerful staff ready to scan your card and wish you a great day. Lake Louise has a select few that have been working the lifts for almost 30 years so you know they are passionate about what they do. If you fancy a bit of a change on your day off and want to experience a new mountain, don’t worry, out in Banff we have two! Sunshine Village and Mount Norquay are both just a short distance away and day passes are pretty reasonably priced. Sunshine is the largest of the two and while it is slightly less steep than the Lake it boasts some gorgeous, extremely long, crusiey runs that are a brilliant place to practice some of the techniques you’ll learn during the course, as well as some exciting and challenging off-piste of its own. Mount Norquay is a little smaller but is situated right up above the town of Banff and has several floodlit runs, including a snow park, so if the days’ skiing hasn’t quite sated your need for speed you can nip up there on an evening pass and keep riding well into the night. If your looking to go a little further there are another 6 resorts within a 2 hour drive. To prepare for each epic day though you’re going to need a proper breakfast, and the Ptarmigan hotel definitely delivers. With a buffet table groaning with food each morning there is always something that will take your fancy, from standard selections of cereals and toast, through fruit salads and yoghurts, right the way down to a full cooked option with hash browns, sausages, bacon and a couple of egg options (all of course covered with lashings of maple syrup!). If that isn’t quite enough for you just ask one of the chefs and they will throw together an omelette with your choice of fillings while you wait! The most important meal of the day has never been so good. On top of being a hub for some of the best skiing in Canada the nightlife in Banff is next level, there is something to suite everyone’s taste. 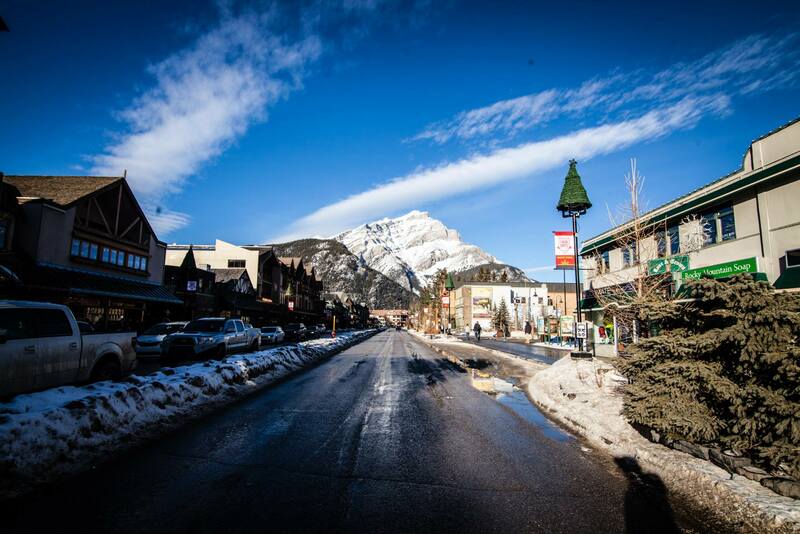 If your feeling a bit homesick you can start by sampling the over 25 beers on tap at St James Gate, a traditional Irish pub or if craft beer is your thing head on over to The Banff Ave Brew Co to find your favourite among the locally brewed beers. After a few pints you can move on to the cocktails at Park, Banff’s newest bar where they distil their own liquor on site. If that’s a bit up market check out Tommy’, Mel’, or the pump and tap where highballs are all under $3 every night of the week. Round out any good night out with a couple $3 Jager bombs and some killer DJ’s at hoodoo. This town will guarantee an amazing experience every night of the week without breaking your budget. Hockey is the national sport out in Canada and completely unavoidable as there are games on TV every single night, so why not take the opportunity to learn more about this fast paced and highly skilled sport. 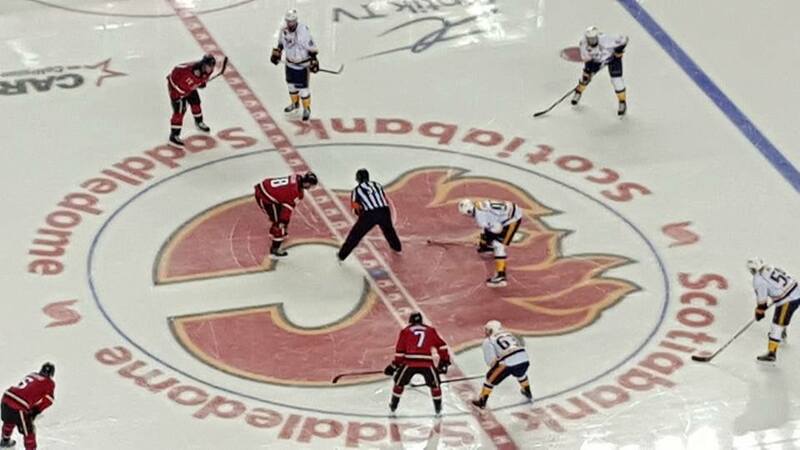 More than just large padded guys crashing into each other, hockey requires huge amounts of athleticism, agility, precision and skill and a trip into Calgary to watch the Flames play a live game is an option during your course. If watching it isn’t your thing however, a free ice rink is right across the road from the hotel with hockey goals and cones set up and skates can be rented from plenty of places around town so get out there and give it a go…just don’t take any notice of the very young locals zipping about and showing off, they’ve been doing it since before they could walk! By far the best thing about doing a winter in Banff however is the people you will meet out there. 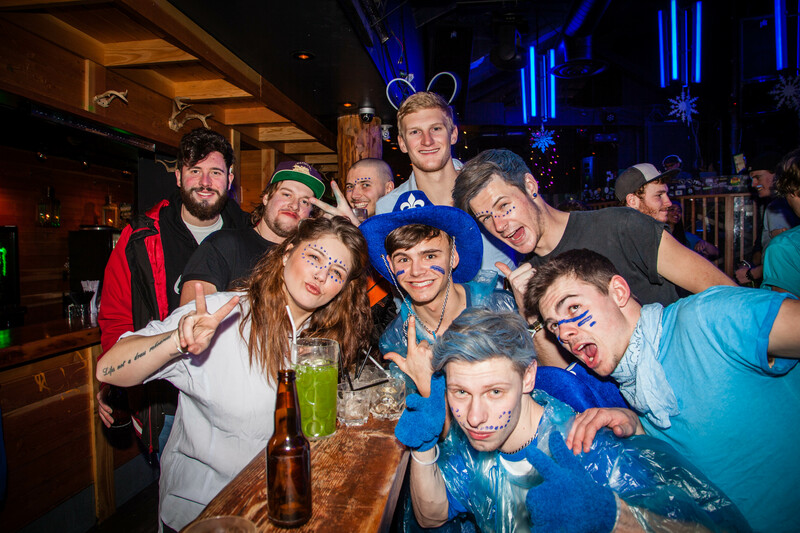 From the Lifties on the hill, to the guys you’ll play pool against in the bars, to the kids skating around like pros, the people out in Banff are some of the kindest, friendliest and most enthusiastic people you will ever spend time with and who will give you the most enduring memories of the season. You’ll get to know the staff at the hotel who you see each day, the incredible instructors who work tirelessly all through the course to teach you everything they can, the staff in the shops and bars you’ll stop by at and many others just like yourself, out there to have the time of their lives and you’ll make friendships that will last years. Basecamp – Banff/Lake Louise Overview from TTR Group on Vimeo. 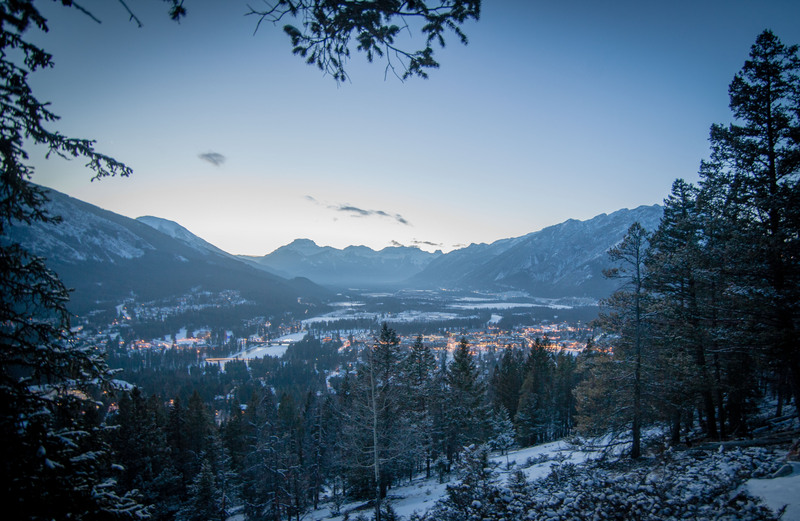 This list just highlights a few things that make Banff, the best place we could ever want to spend a winter. But at the end of the day it’s your season, and you’ll ultimately make your own memories and have your own favourites, so get out there and make the most of it. Maybe we will see you at breakfast, or for first lifts on Glacier, or even in The Paddock in the evening were we can discuss your top ten! This entry was posted in Banff, News, Snowboard. Bookmark the permalink.